- WHO Global Atlas of Traditional, Complementary and Alternative Medicine (text volume and map volume). Kobe, Japan, World Health Organization, Centre for Health Development, 2005. - Surtees P, Wainwright N, Luben R, Khaw KT, Day N (2003).Sense of coherence and mortality in men and women in the EPIC Norfolk United Kingdom prospective cohort study. American Journal of Epidemiology, 158:1202-1209. - Rosenman RH. (1997) Do environmental effects on human emotions cause cardiovascular disorders? Acta Physiologica Scandinavica Suppl. 640:133-136. - Kelner M (2000). The therapeutic relationship under fire. In: Complementary and Alternative Medicine: Challenge and Change edited by Merrijoy Kelner, Beverly Wellman. Harwood Academic Publishers. National Institutes of Health (NIH) Acupuncture. NIH Consensus Statement Online 1997 Nov 3-5; 15(5):1-34 (available at http:// odp.od.nih.gov/consensus/cons/107/107_ statement.htm). -Vickers A, Zollman C (1999) ABC of complementary medicine: Herbal medicine British Medical Journal, 319: 1050–1053. -Fugh-Berman A, Ernst E (2001) Herb-drug interactions: review and assessment of report reliability. British Journal of Clinical Pharmacology 52:587–595. - Ernst E (2000). Prevalence of use of complementary/alternative medicine: a systematic review. Bulletin of the World Health Organization, 78:252-257. - Harris P, Rees R (2000). The prevalence of complementary and alternative medicine use among the general population: a systematic review of the literature. Complementary Therapies in Medicine, 8:88-96. - Menniti-Ippolito F, Gargiulo L, Bologna E, Forcella E, Raschetti R (2002) Use of unconventional medicine in Italy: a nationwide survey. European Journal of Clinical Pharmacology, 58:61-64. - Wolf U, Maxion-Bergemann S, Bornhöft G, Matthiessen PF, Wolf M (2006). 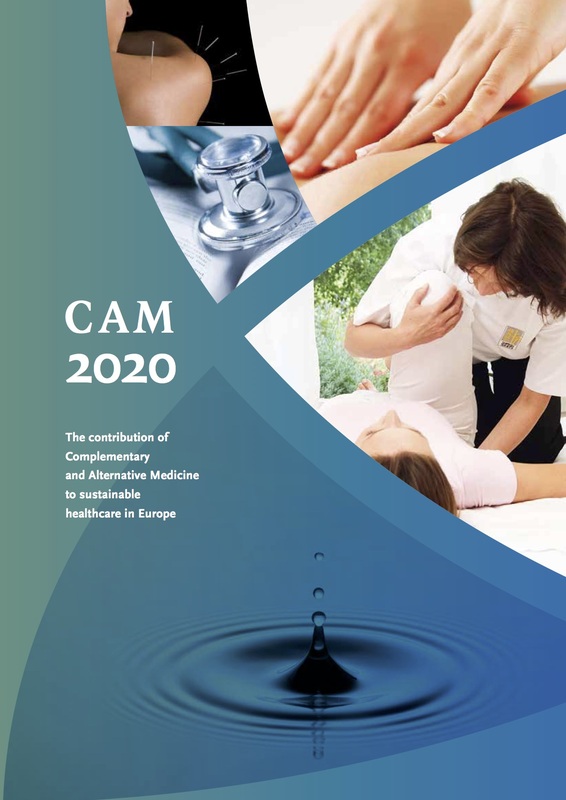 Use of complementary medicine in Switzerland. Forschende Komplementärmedizin, 13 Suppl 2:4-- Hanssen B, Grimsgaard S, Launsø L,Fønnebø V, Falkenberg T, Rasmussen NK (2005) Use of complementary and alternative medicine in the Scandinavian countries. Scandinavian Journal of Primary Health Care, 23:57-62. - Härtel U, Volger E (2004) Inanspruchname und Akzeptanz klassischer Naturheilverfahren und alternativer Heilmethoden in Deutschland - Ergebnisse einer repräsentativen Bevölkerungsstudie [Use and acceptance of classical natural and alternative medicine in Germany- findings of a representative population-based survey] Forschende Komplement-ärmedizin und Klassische Naturheilkunde, 11:327-334. -Thomas KJ, Coleman P (2004) Use of complementary or alternative medicine in a general population in Great Britain. Results from the National Omnibus Survey. Journal of Public Health, 26:152-157. - Thomas KJ, Nicholl JP, Coleman P (2001). Use and expenditure on complementary medicine in England: a population based survey. Complementary Therapies in Medicine. 9:2-11. - Nilsson M, Trehn G, Asplund K (2001) Use of complementa y and alternative medicine remedies in Sw eden. A population-based longitudinal study within the northern Sweden MONICA Project. Journal of Internal Medicine, 250: 225–233. - White AR, Resch K-L, Ernst E (1997) Complementary medicine: use and attitudes among GPs. Family practice, 14:302-306. - Lewith GT, Hyland M, Gray SF (2001). Attitudes to and use of complementary medicine among physicians in the United Kingdom. Complementary Therapies in Medicine, 9:167-172. - Schmidt K, Jacobs PA, Barton A (2002) Cross-cultural differences in GPs’ attitudes towards complementary and alternative medicine: a survey comparing regions of the UK and Germany. Complementary Therapies in Medicine, 10:141-147. - Zollman C. Vickers A (1999) ABC of complementary medicine: Complementary medicine and the patient British Medical Journal, 319, 1486–1489. - Flöistrup H, Swartz J, Bergström A, Alm JS, Scheynius A, van Hage M, Waser M, Braun- Fahrländer C, Schram-Bijkerk D, Huber M, Zutavern A, von Mutius E, Ublagger E, Riedler J, Michaels KB, Pershagen G, The Parsifal Study Group (2006). Allergic disease and sensitization in Steiner school children. Journal of allergy and clinical immunology, 117:59-66. - Baars EW et al (2005) Safety of homeopathic injectables for subcutaneous administration: a documentation of the experience of prescribing practitioners. Journal of Alternative and Complementary Medicine;11:609-616. - Hamre HJ, Witt CM, Glockmann A, Tröger W, Willich SN, Kiene H (2006) Use and safety of anthroposophic medications in chronic disease: a 2-year prospective analysis. Drug Safety, 29:1173-1189.